For those who are practicing witches the making of Black Salt is an absolutely essential skill to have. Black salt has a myriad of uses. In fact it is one of the most useful of all ingredients for those who practice witchcraft. Black Salt can be used in a variety of ways. It can be used for banishing, as well as breaking hexes. Of course as with most ingredients it can also be used for purposes which are not as benevolent. It can also be used by the witch for laying of curses and hexes. 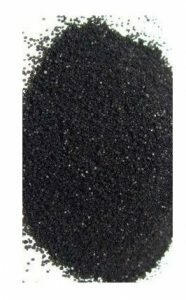 For some idea of just how useful Black Salt is there are several examples of how it can be used in a real world situation. For instance in the working environment a small bag of Black Salt can assist in preventing gossip and absorbing the negative effects of moodiness and feelings of frustration and anger. For those who suffer from bad dreams a sprinkling of Black Salt under the bed or close to the sleeping person can help deal with the negative energy that occurs during that dream state. Adding a small amount of Black Salt to a floor cleaning solution will help to protect and even clear the home of negative energies. However, care should be taken not to overdo it as the charcoal that is used in the preparation of Black Salt (more below) can stain fabrics and other household goods. So how does one go about preparing Black Salt? The good news is that it only requires some simple ingredients and the preparation process is relatively easy. You will need charcoal (from wood burned in flame is the best, but if this is not available then activated charcoal can also be substituted). You will also need some Sea Salt, a dash of Black Pepper, some incense ash and a mortar and pestle to grind the ingredients together. Using the mortar and pestle grind the Pepper and the Charcoal finely. Then slowly add the Sea Salt. Add only a little at a time in order to ensure that the end result is Black not grey. Once the mixture has been finely ground use a fireproof container and place that mixture into it. Then place an incense cone onto the mixture and light. Once the incense has burned down return all the ingredients to the mortar and grind finely. Once you have your Black Salt make sure that you store it in an airtight container. This is especially important if you live in an area with high rainfall or high humidity. Failure to store this useful ingredient will cause the components to absorb moisture, making the Black Slat extremely difficult to use. Black Salt is not only a powerful ingredient, but it is one that is extremely easy to use and prepare, even for the novice. However, it will be useful to visit an authoritative website or make contact with other practitioners through one of the many chat rooms and support groups that are on the Internet in order to explore the full spectrum of the uses of Black Salt. 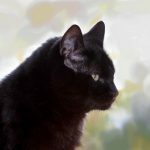 What Is the Meaning of a Black Cat Sighting?